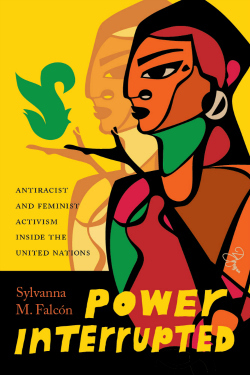 In Power Interrupted: Antiracist and Feminist Activism Inside the United Nations (University of Washington Press, 2016) Falcón argues that solving racism requires multiple perspectives and shows how transnational feminist activism can offer nuance to important global issues. 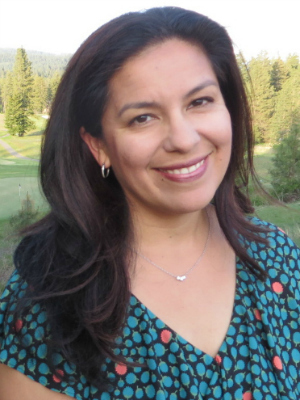 Falcón joined UC Santa Cruz in 2010 after a two-year UC Presidential Postdoctoral Fellowship with the Women's Studies Department at UC Riverside. In 2008 she testified at the United Nations in Geneva about sexual violence against migrant women at the U.S.-Mexico border and served as a co-consultant to the UN Special Rapporteur on Violence Against Women in 2010. The book award honors feminist and writer Anzaldúa, a one-time lecturer in feminist studies at UC Santa Cruz and a long-active member of the National Women's Studies Association. Anzaldúa was also a UCSC graduate student in literature who was awarded her Ph.D. posthumously after her death in 2004 at age 61. The Anzaldúa award is for "groundbreaking monographs in women's studies that makes significant multicultural feminist contributions to women of color/transnational scholarship.” It will be presented at the NWSA conference in Montreal in November. "Power Interrupted: Antiracist and Feminist Activism Inside the United Nations"